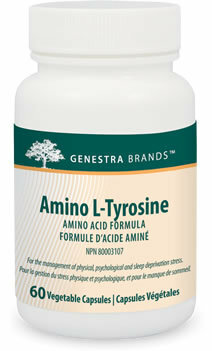 Amino L-Tyrosine provides a high concentration of this non-essential amino acid necessary for protein synthesis. Tyrosine transmits nerve impulses to the brain, helps to improve memory and to increase mental alertness, and promotes proper function of the thyroid, adrenal and pituitary glands. Symptoms of tyrosine deficiency can include low blood pressure, cold hands and feet, and restless legs. Amino L-Tyrosine is indicated for conditions associated with hypothyroidism and hyperthyroidism, including depression, insomnia, irritability, anxiousness and fatigue; and for adrenal atrophy, stress, premenstrual syndrome, obesity and weight loss. Adults: Take one capsule three times daily, or as recommended by your health care practitioner. For prolonged use, consult your health care practitioner. 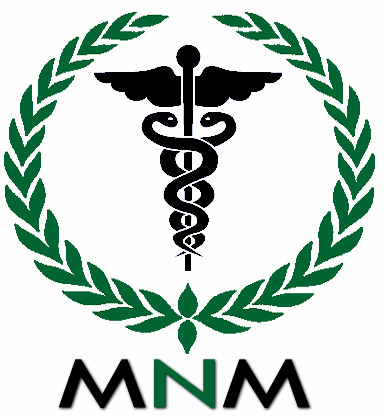 Risk Information: If you are pregnant or breastfeeding; or if you are following a low protein diet, consult your health care practitioner prior to use.